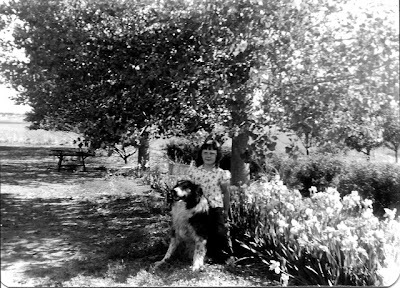 It is hard to determine when the photo was taken because the date only indicates when the film was processed and the photo printed. Sometimes photos were taken and the film thrown on the top of the refrigerator to be processed later. 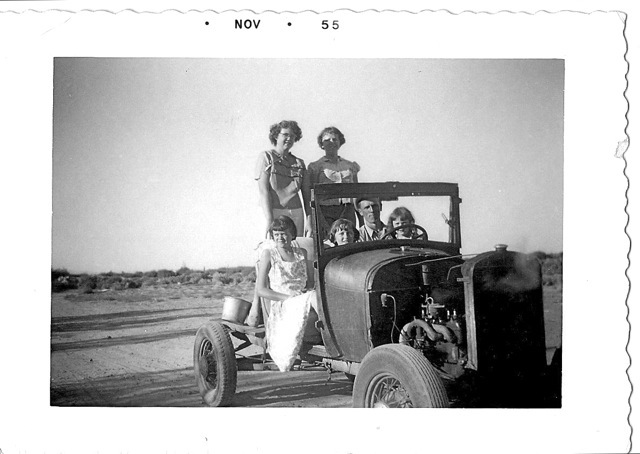 The jalopy in the photo was my brother's and clearly a work in progress -- note the steaming radiator. My brothers loved to tinker with old cars and machinery. Rich had a Model A convertible with a rumble seat that he hoped to restore but never did. Blue Diamonds is loosely based on "Tie the Knot" featured in November/December Fons and Porter's Love of Quilting magazine. Tie the Knot uses neckties to make the string blocks; however, I used cotton scraps. My string blocks are also larger. 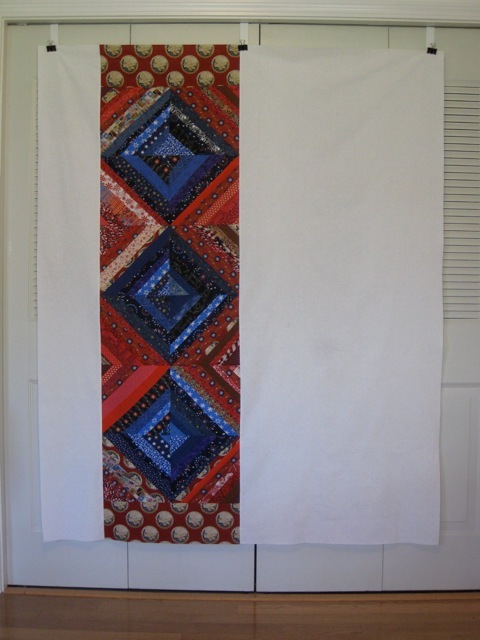 Blue Diamonds' string blocks were a great way for me to use odd bits of fabric - strings of various widths and lengths, remaining from the Quilts of Valor made for the 2012 Challenge. 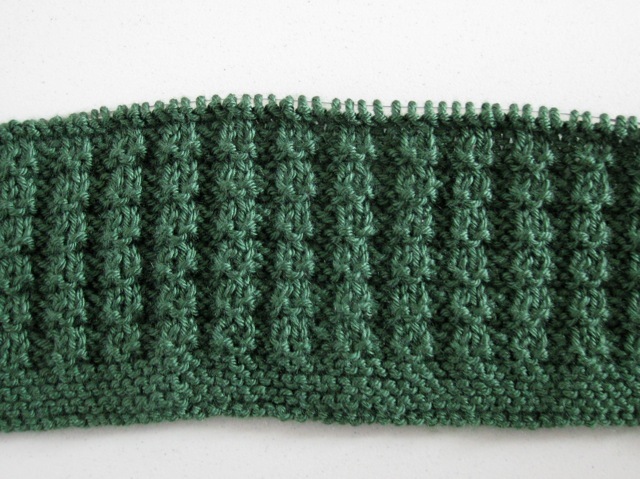 Update: The strings were sewn on pages from an old phonebook and then squared to 10 inches. 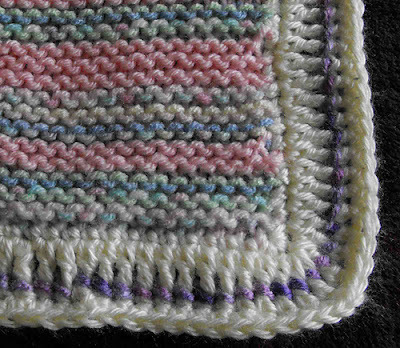 The blocks are 9.5 inches, finished. 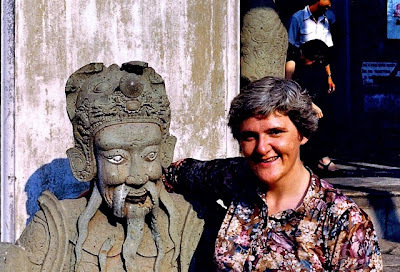 My hair was certainly darker in this photo - true "salt and pepper" - than it is now. My hair today has more salt than pepper, as it is practically white. I've always loved bearded iris probably because my mother had so many of them in a variety of colors. 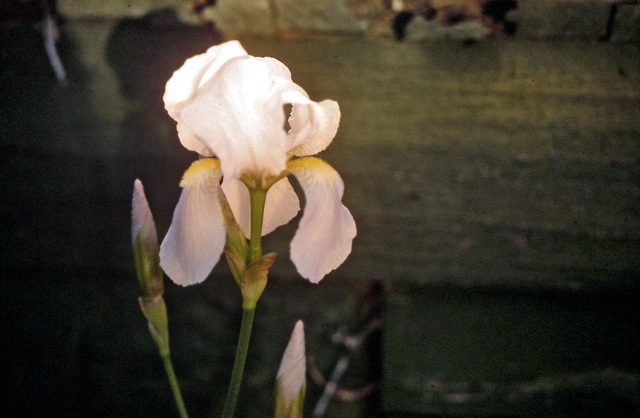 In the two corners of the yard next to the irrigation ditch were clusters of iris. The one near the orchard were a deep purple and always had huge blooms. That flower bed also contained orange day lilies. Behind the house was a long row of yellow iris (see photo below). The garden also had long rows of iris - yellow, purple, pale blue, and some with multi-colored blooms. When the iris were blooming, a mason jar filled with iris blooms was frequently on the kitchen table. What flower(s) do you remember from your childhood? Oops, I didn't check to see if the vest was situated correctly before having a friend snap the photo. 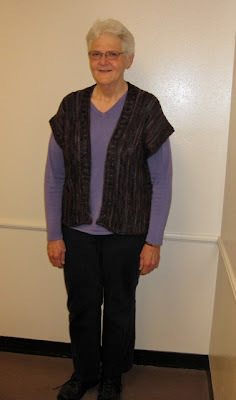 The vest looks good with denim and slacks and could even be worn with a skirt or dress. I love it! The vest drapes really well. I know that I am going to enjoy wearing it. 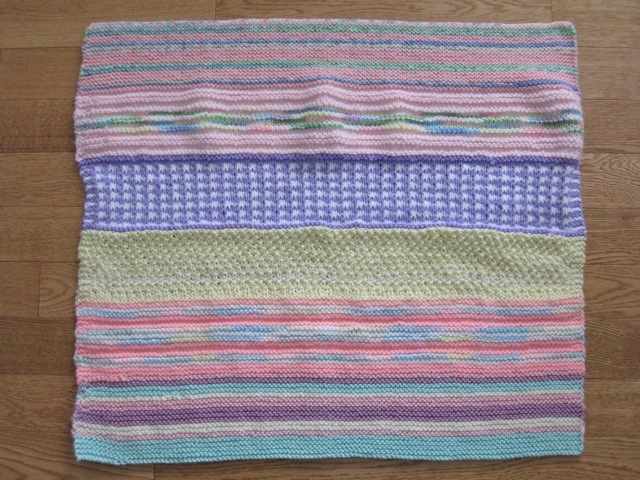 Thank you for all the great name suggestions for the new Oddball blanket. I'm going to keep them on file and will use them as empty needles are available. 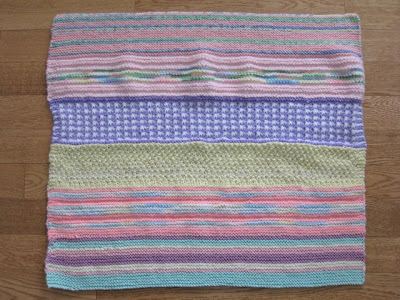 It has been snowing steadily here for the last week, so I decided to knit start a the blanket with a hope of warmer days. Thank you, Connie (FarSide) for the name suggestion. 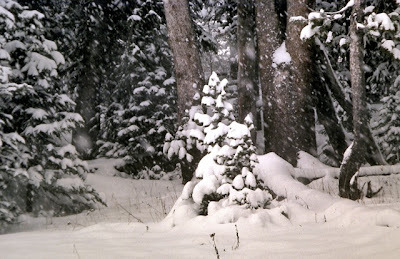 Even though these photos are old, they capture a typical spring day in Wyoming. The weather can range from snow flurries placing a new blanket over the terrain to delicate new leaves unfurling on the aspen trees. These photos in this post were taken on the same day - one on the pass and one in the valley. Photos of Togwotee Pass in 2011 can be seen here and here. I hope the "moderate snow" stays in the mountains, and that the valley will receive a more liquid form of moisture. 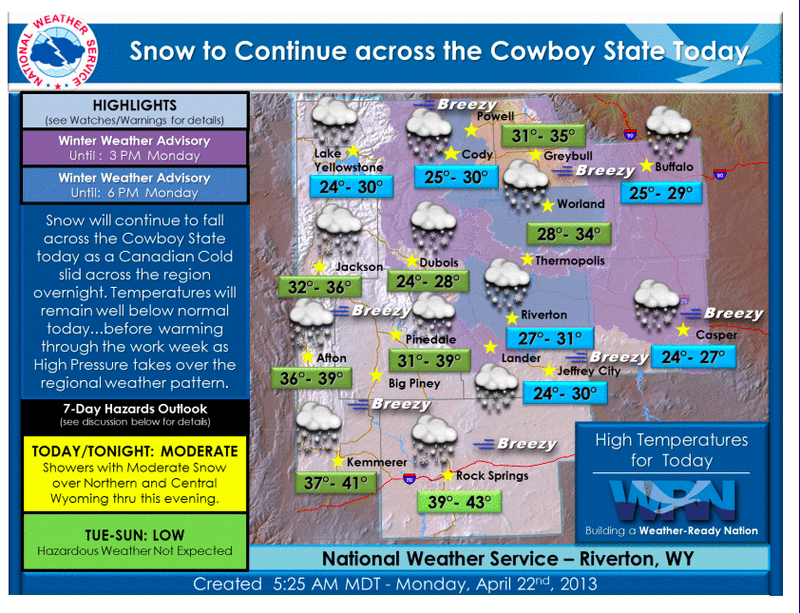 Welcome to Springtime in the Rockies! If you would like to hear the Sons of the Pioneers (anyone remember them?) sing the ballad When It's Springtime in the Rockies, click here. The Best Thing I Learned. . .
By far the best thing I ever learned in high school was how to type. Without that skill, I would not have been able to prepare the many term papers (research papers) that were required in high school and in college. I would not have been able to prepare the hundreds of worksheets, outlines, mimeograph stencils (does anyone else remember those? ), applications, quizzes, tests, and reports that my job required. Little did I know that when I was typing the sentence, "the quick, brown fox jumps over the lazy dog" that I was using all the letters in the English alphabet. 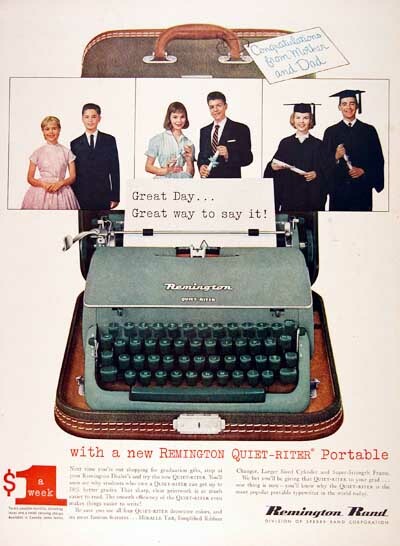 Mrs. Glaser was my typing teacher, and the typewriters in her classroom were manual like the Remington in the photo above. The keys on every machine in the room were capped so the letters were not visible. The only way to type was memorize the placement of letters and to drill, drill, drill - every day. The only help was high above the blackboard where a chart with the keyboard placement was displayed. Mrs. Glaser allowed advanced typists to use the limited number of electric machines. It took some time to become accustomed to the speed of the electric typewriter, but I missed the rhythm of the manual machines. One day, in the late 60s some flashy red, electric machines (IBM Selectric) were brought into the classroom. I immediately loved the machines with the intriguing, letter ball because it was impossible to jam the keys. Because of my typing skills, the transition to a computer was easy. Of course, schools no longer offer typing classes because the skill is now called "key boarding." I don't know if the students are required to complete the same type of drills to memorize letter placement. I find it interesting that the typewriter was invented in 1866, and even with advances in technology, the letter placement has not changed. Think about that for a minute. A device that was created 147 years ago is still as helpful and valuable today, albeit in a different form, as it was the year it was invented. Yes, the best thing I ever learned is how to type. What is the "best thing" you've learned? Even though Winter is still trying to hang on here in Wyoming, I know that Spring is arriving in other parts of the country. I'm curious how many of you do a deep cleaning (Spring Cleaning) of your house? You know the kind where you move the furniture, vacuum the blinds or drapes, wash the curtains, wipe down the mop boards, wash the windows (inside and out), dust the top of the door frames - a real white-glove test cleaning. 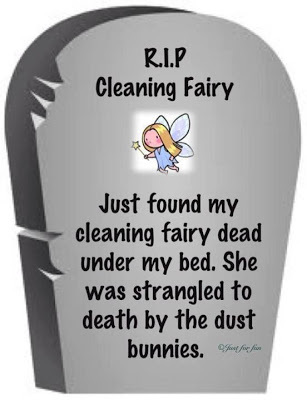 Is "Spring Cleaning" a mythical legend or a genuine phenomenon? 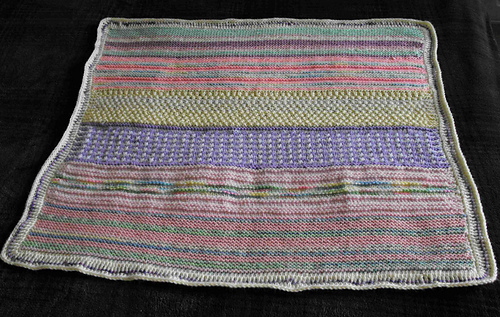 Spring Violets is truly off the needles. 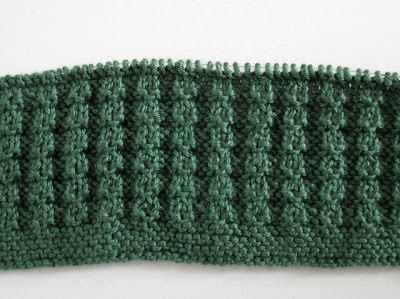 The picot edging needs tacked, and the sides seamed before it can be considered completely finished. The colorful, foam mats were purchased at Kmart several years ago for the fraction of the price of those sold by Knit Picks and other online stores; plus, the mats are large, 24-inch squares compared to the 12-inch ones sold specifically for blocking. I use my quilting pins to hold the project in place. 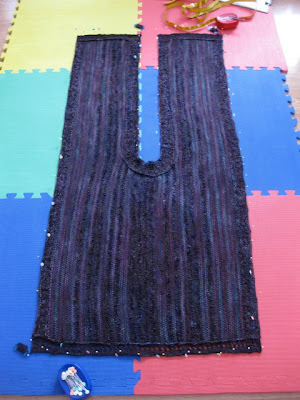 A photo of the finished vest will be posted soon. I love this photo because it shows how much Pavillion has changed. The street is now paved (only Main Street was paved in the 60s), and the Union 76 station has long since closed. The nearest place to purchase gasoline today is nearly 10 miles down the road in Kinnear. 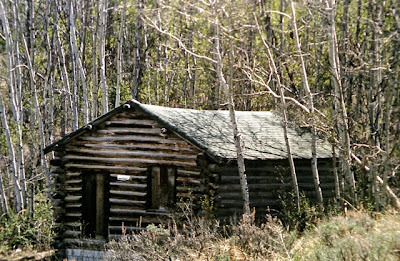 After this photo was taken, the Union 76 station became a laundromat, a private home, and then later a Fifties Diner. I'm not sure what it is today. 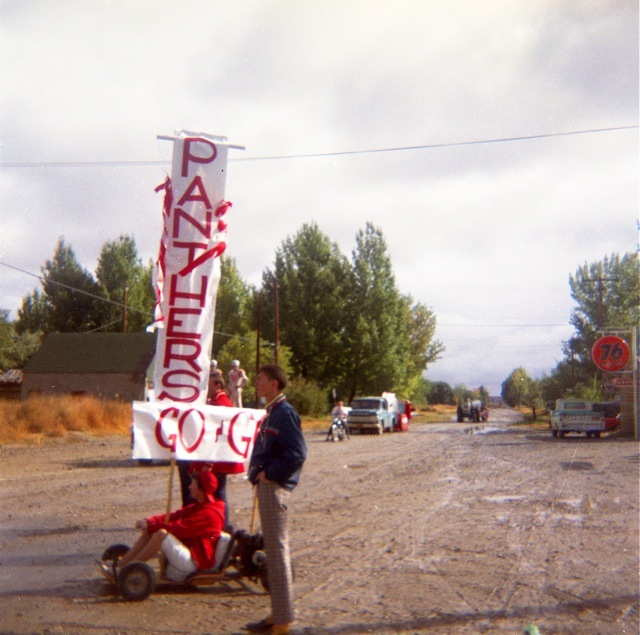 Behind the Panthers Go-Go sign you can see other parade entries - a flat bed with some individuals dressed as football players, a motor bike, and a pick-up pulling a flat bed trailer that was probably a class float, and a tractor that was either waiting for the parade to pass or was pulling another float. The Homecoming parades drew a crowd along Main Street, which is probably less than a quarter mile long. Another reason that I love this photo is that it reminds me how much fun Mrs. Jones was to be around and how much she enjoyed life. Not many mothers in the late 60s even knew how to drive a go-cart much less drive it in the Homecoming parade! 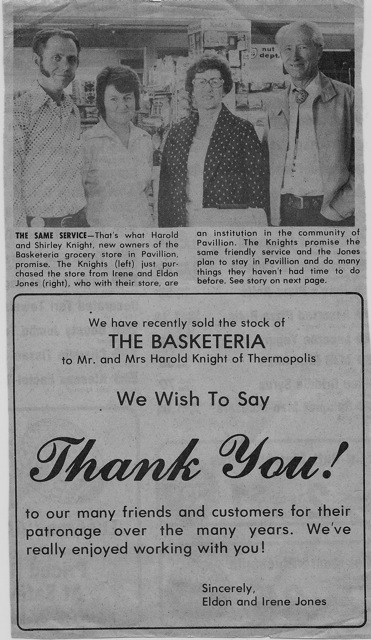 Irene and her husband Eldon owned and operated the Basketeria, a local grocery store, for many years, and their daughter is still one of my close friends. I don't know if she realized it, but Irene was a role model for many girls in our small community. She encouraged girls to make a life for themselves and to be independent. She was quick to offer a sympathetic ear and to offer advice when it was needed. During my junior high and high school years, I went to several slumber parties at the Jones' home. Irene was always a gracious hostess for those over-night invasions. In my opinion, anyone who allows a group of six or seven giggling girls into their home for not one but several nights certainly deserves a medal. Irene had a very distinct voice: if I close my eyes, I can still hear the lilt of her words and the tone of her voice. Several times, I accompanied the Jones family to community concerts in Riverton and Lander. Attending those concerts was special: growing up on a dairy farm limited my opportunities because chores always came first. Because my mother was unable to provide this type of experience, I was grateful for the exposure to a variety of music and arts that the concerts and Mrs. Jones provided. Irene went out of her way to make me feel welcome in her home and with her family. Irene was also a historian and a writer. She researched and compiled a book about the Pavillion community, titled Pavillion City, which I used when preparing these posts about the school. She preserved the community's history in her book. Mrs. Jones was probably the first adult friend I had, and she was a good one. Sadly, I didn't have the opportunity to thank her for the positive role she played in my life. Please note the girl at the top of this memorial holds a large crane. That girl is the likeness of Sadako Sasaki. 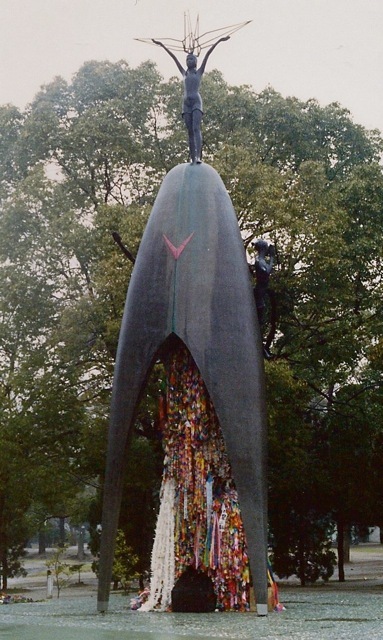 Wikipedia states, the thousand origami cranes were popularized through the story of Sadako Sasaki, a Japanese girl who was two years old when she was exposed to radiation from the atomic bombing of Hiroshima during World War II. 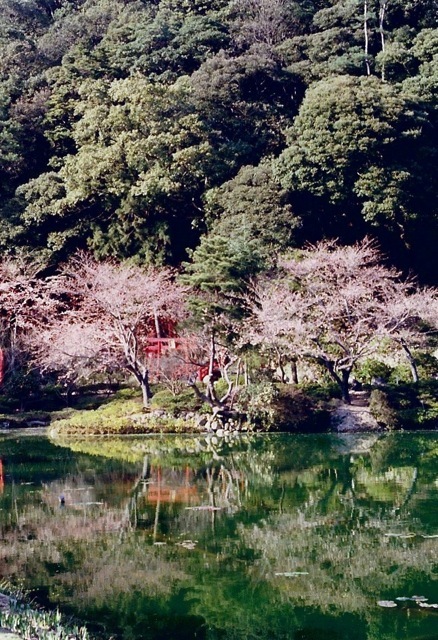 Sasaki soon developed leukemia and, at age 12, inspired by the senbazuru legend, began making origami cranes with the goal of making one thousand. In a popular version of the story as told in the book Sadako and the Thousand Paper Cranes, she folded only 644 before her death; in her honor, her classmates felt sorry and agreed to complete the rest for her. 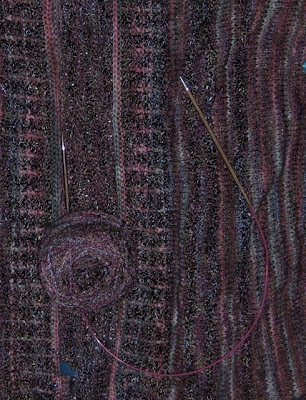 One more edge to knit before this project is officially off the needles and can be blocked. The bottom edges are knit with the soft twist rayon, shown above. 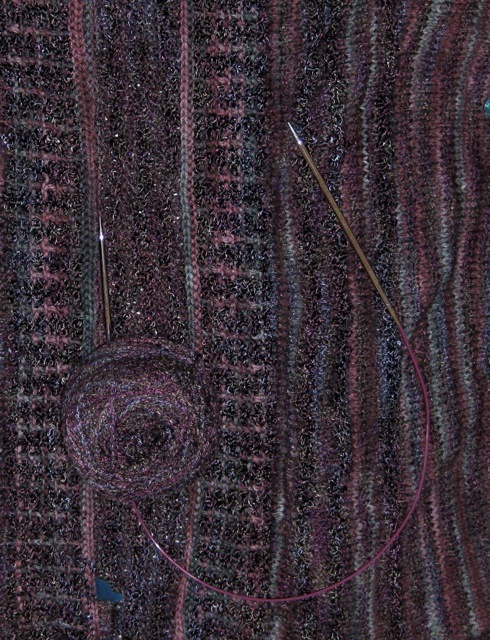 After blocking the vest, I'll stitch the picot edging at the bottom and the side seams. Built in 1911, the Virginian Hotel in Medicine Bow is a Historic Landmark for the town and for the State. It is still used today. If you are a fan of Western literature you may recognize its name from Owen Wister's book, The Virginian. 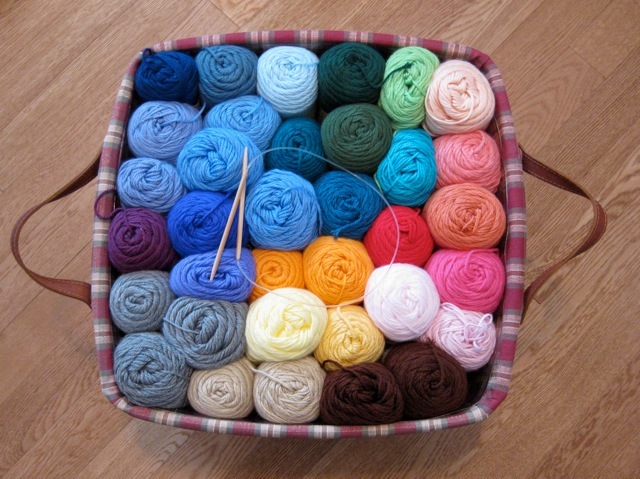 Since I was the last knitter on an Oddball blanket last week, it's time to chose a color and begin a new blanket. As you can tell, I am well stocked with Caron Simply Soft. Any suggestions on color and/or name for this new Oddball? When the Congress decided to reduce spending and the sequestration took effect, it put the National Park System (NPS) in a bind. Typically, Yellowstone National Park is open for visitors in May, but before the Park can be opened, the snow must be plowed from the roads. 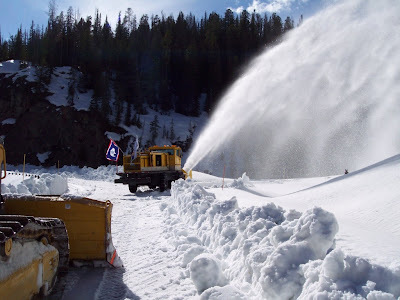 Because of the sequestration, the NPS did not have the funds to operate snow plows, so Wyoming's Governor, Matt Mead offered State snowplows and the personnel, if the communities surrounding the Park could collect enough money to run them. 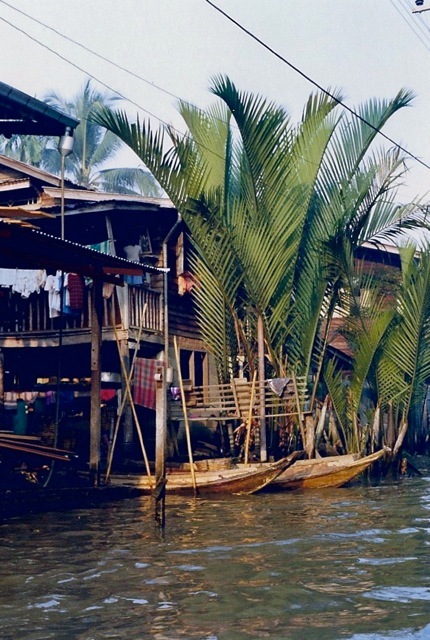 Toursits are the lifeblood for these communities, so merchants and private individuals went into a fund-raising mode and raised the required money. According to County 10, it costs up to $30,000 a day to plow the roads in the Park. 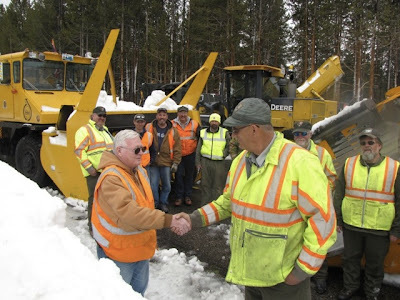 The roads are being plowed, the Park will open on time, the tourists will come, and the communities will thrive - all this because people chipped in and helped in various ways. 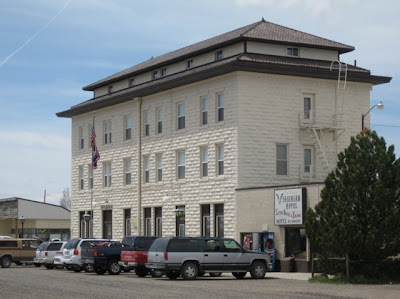 Wyomingites didn't sit around and complain: they took action. That, my friends, is how problems should be solved in this country - not by pointing fingers and placing blame, but by rolling up sleeves and getting to work. If you visit Yellowstone National Park this year via the East or South Gates, stop and thank the citizens of the surrounding communities for making it possible. 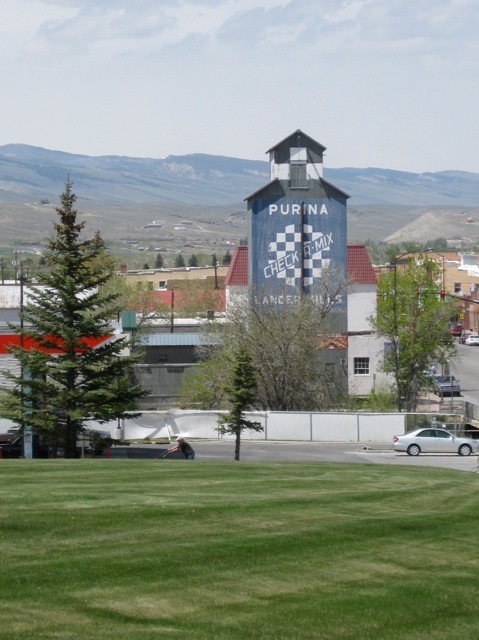 The final push has been made, and the Park will be opened by May 1, 2013. The WYDOT crews plowed their sections and for less than was originally budgeted. Read about it here. 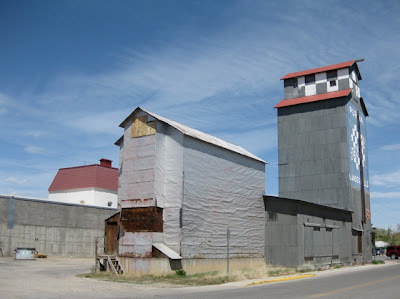 I decided to photograph these buildings last year because so many of the older grain elevators are being torn down. Riverton used to have three large elevators, but only small outer buildings remain. The Lander Mills complex is still standing and is being used as a feed store. 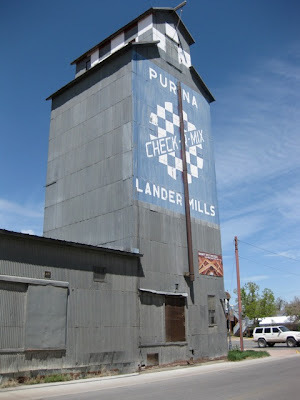 All of the elevators were located next to the railroad tracks, but the tracks were pulled up years ago. This gentle giant remains in Lander as a reminder of earlier days.